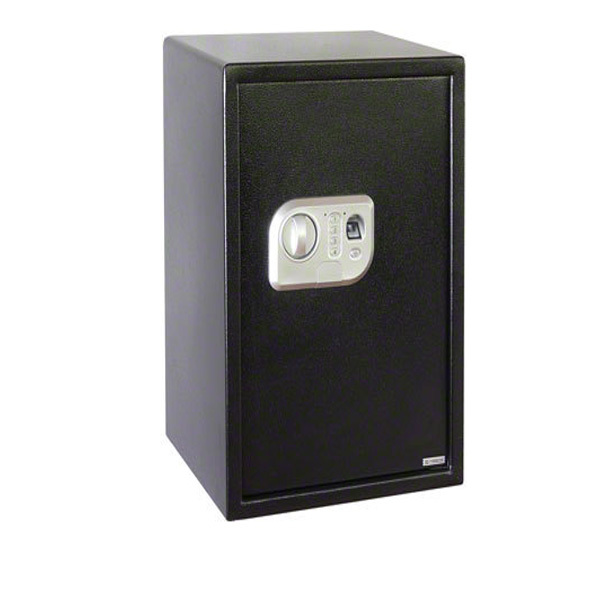 Safewell 50FPN Biometric finger print lock safe. Cash rating €1,000 or valuables rating €10,000. Biometric fingerprint lock powered by 4 x AA batteries (included). Back up key lock in case of lock out (supplied with 2 keys). Finished in an attractive black powder coating. The Safewell 50FPN Biometric Safe is a large home safe secured by a battery powered finger print lock, which can be programmed with up to 20 different fingerprints. Ideal for use at home or in the office with a €1,000 cash insurance rating or €10,000 valuables rating.